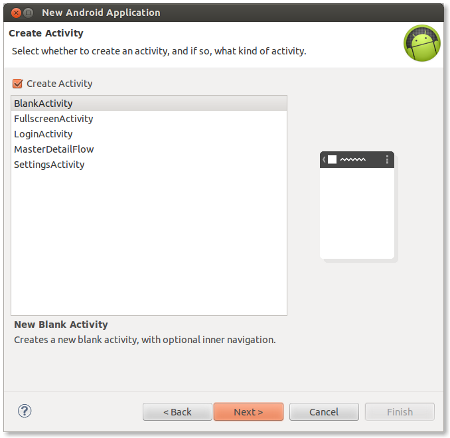 In this article, we will develop an Android application which fetches data from SQLite database using CursorLoader and displays it in a ListView. The data is fetched asynchronously using LoaderManager. On executing first time, the application creates a database namely “sqllistviewdemo” and a table “cust_master” with some records in it. These records will be later fetched using CursorLoader and populates a ListView with CursorLoader and ContentProvider. 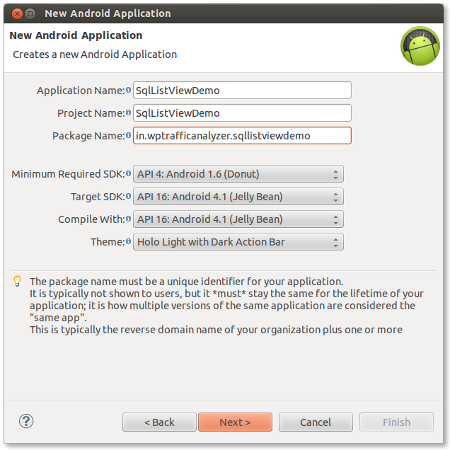 This application is developed in Eclipse(4.2.1) with ADT plugin(21.0.0) and Android SDK(21.0.0). String sql =     "create table "+ DATABASE_TABLE + " ( "
+ KEY_ROW_ID + " integer primary key autoincrement , "
+ KEY_CODE + " text  , "
+ KEY_NAME + "  text  , "
sql = "insert into " + DATABASE_TABLE + " ( " + KEY_CODE + "," + KEY_NAME + "," + KEY_PHONE + " ) "
have one problem to my project . i use library sherlock in my project and in tutorial use fragmentactivity but i use SherlockActivity in project . now what i do ? 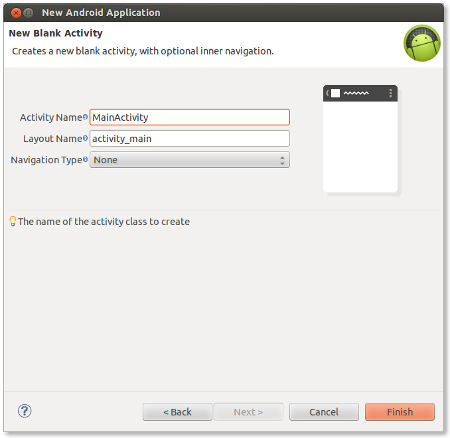 We can use the class SherlockFragmentActivity instead of SherlockActivity in the MainActivity class. but dont work listview my project when open activity project force close ! and i use database sqlite own from assets . have a question how change color textview item ? i don’t want to use change color from file xml . Is there any way to use CursorLoader and LoaderManager without content provider? Or … I must use content providers, even if I don’t want to share my datas? Amazing work! Helped me imensely to understand the topic. 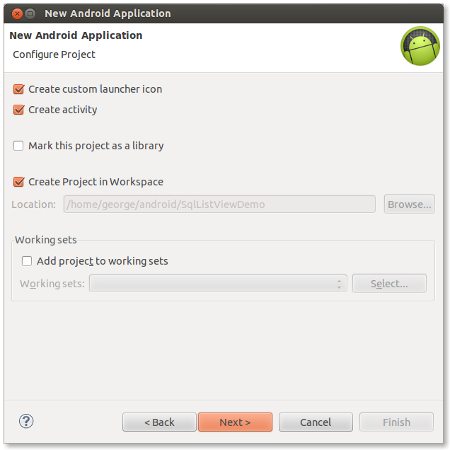 As per the documentation of the class “android.support.v4.widget.SimpleCursorAdapter”, only one of its constructor is deprecated. In this application we are not using the deprecated constructor, instead we are using the standard constructor. Please correct me, if i am wrong. It seems really in this way. Although there is library loader without contentProvider, it present some drawback. Is it really the best way if I use CursorLoader work with contentProvider? It is so clear and elegant code. for the first time I see such a clear contentprovider class. 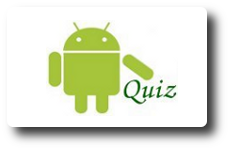 Love your website it helped me a lot in understanding of the Android Dev. In my app that I am developing I list longitude and latitude of locations stored in SQLlite DB. I would like to click on one of the entries that consists the coordinates and display it with a marker on a map in a new activity. Could you tell me how I can pass those two fields (longitude and latitude) to a maps activity. i have to modify data after fetching it from database.where do it write that method to modify data before populating in listview…???? Thanks for this helpful tutorial. it’s work for me. How to add a textview before the listview? Hi, Nice piece of code. I have some questions. 1. If I use content provider, my data will be public means accessible by other apps. How can I avoid it? I don’t want my data to be accessible by other apps. 2. How to update the list if the data is changed in the database? I hav changed the Phone attibute as Place and their respective values in table inserting column an also changed the nmes but after running giving the same output as before…wat to do please tel me..
Sir I am struck with something I need your Help! In your above Code only I want to add another column in the database and populate it in list view on Upgrading the version of database? So when database version changes list view will get another entry in its 5 row with extra column along with the previous data. Can you tell me how to do that. This is a helpful tutorial. Can you confirm this code is correct? I get a error with menu_main. Thanks for the nice tutorial. I faced minor issue but got it working. 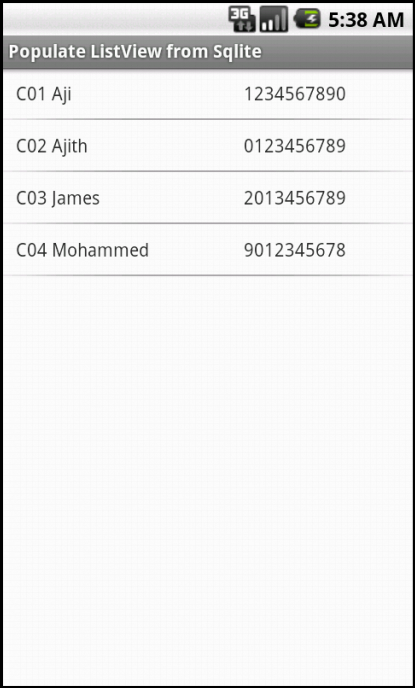 Hi ,George Can you help me for getting Contact name and contact number from the Phone list itself and to add those to sqlite database? your current tutorial was very beneficial..